I’m so happy to be interviewing the delightful Kim Ventrella, today. 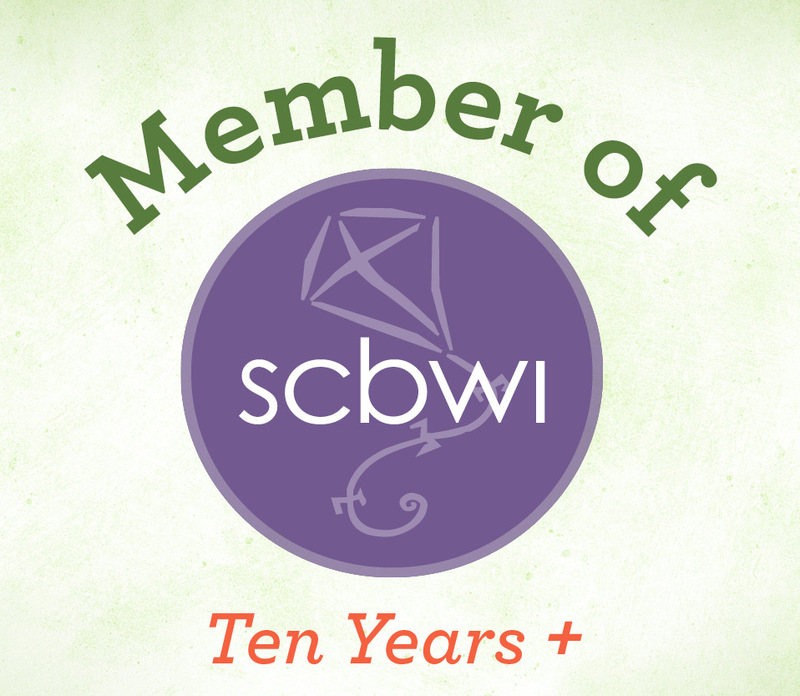 Kim is an SCBWI Oklahoma region member I’m just getting to know, and I’ve been dying to ask her some in-depth questions. Like what’s behind her extensive skeleton collection? How much does her dog, Hera, actually help her writing process? And more importantly, what inspired her highly anticipated debut novel, SKELETON TREE, which comes out this month? She has been know to actually seek out places where skeletons dwell. To even pose for pictures with them, and dress them up in fancy hats and wigs. Some might call that weird, I call that amazing! How else would we get such an awesome-looking book? Twelve-year-old Stanly knows the bone growing in his yard is a little weird, but that’s okay, because now he’ll have the perfect photo to submit to the Young Discoverer’s Competition. With such a unique find, he’s sure to win the grand prize. But, oddly, the bone doesn’t appear in any photos. Even stranger, it seems to be growing into a full skeleton…one that only children can see. There’s just one person who doesn’t find any of this weird–Stanly’s little sister. Mischievous Miren adopts the skeleton as a friend, and soon, the two become inseparable playmates. Valerie Lawson: Your debut novel, SKELETON TREE, has such an intriguing premise, what sparked the idea for this story? Kim Ventrella: I wondered what would happen if a boy discovered a finger bone growing in his backyard. The story evolved from there, becoming much more than I had anticipated. VL: What a great beginning. I can’t wait to read where the story goes from there! KV: Artist Jerry Bennett and Filmmaker Zac Davis did an amazing job putting together the trailer. I had gone to see their award-winning short film, Even in Death, and after that I knew they would be perfect for the job. It captures just the right mix of wonder, spookiness and whimsy. VL: You seem more than fascinated (dare we say obsessed?) with skeletons – I love following your hashtag #skeletonspotting, by the way – where did this deep interest in skeletons come from? KV: I don’t know if it’s a deep interest (ha! ), but I have always been fascinated with the macabre. Scary stories are a great way to confront monsters in a safe environment. Readers can learn from the character’s journey that it’s possible to overcome those spooky skeletons we all have in our closets. Your story tackles the difficult subject of death, one not many adults are comfortable dealing with. Talk about why you thought it important to address this issue in a children’s book. KV: My grandfather passed away suddenly not long before I started Skeleton Tree. I didn’t initially intend for it to be a book about death, but that was just how the story unfolded. It became a sort of canvas on which I could put forward my own vision of how Death could look, if we chose to experience it through a different lens. I wanted to create a Death full of meaning, beauty, friendship and understanding. I strongly believe that books are one of the best ways for children to make sense of the world around them, to experience tough topics in a safe space, and that includes dealing with death. VL: How beautiful. That’s quite an homage to your grandfather, too. I just love that. What were some of your biggest fears as a kid? Were you ever afraid of the dark, of anything under your bed or in your closet? KV: I was very scared of ghosts in particular when I was a child, which is perhaps why I embraced the macabre. I used to have night terrors, night paralysis and visual disturbances (i.e. I very vividly ‘saw’ ghosts on several occasions as a child). For me, reading scary stories has always been the equivalent of performing a big Riddikulus spell on those creepy real-life monsters. Seeing others triumph over evil, whether it’s watching Buffy the Vampire Slayer or reading Roald Dahl, gives me confidence that I can also defeat the big baddies out there. VL: Wow! Very in touch with your spooky side, even as a kid. Destined to write this genre! I love that seeing others conquer their fears in books gave you courage, too. Books are so powerful! You discussed in a post recently that you like to begin writing a story by thinking about its emotional catharsis and working back from there. That’s almost like starting at the ending and working your way back to the beginning. I love this idea. Can you expand on this? KV: My writing style has changed and continues to change a ton. I always used to write completely organically, with no plotting ahead of time, like with Skeleton Tree. Now that I have to send off proposals for stories before I start writing (for the most part), I’ve started thinking more strategically. In the end, the important aspect of a story for me is what emotional impact readers will feel after they turn the last page. Has the book changed the way they see the world? Has the character’s journey taught them something about themselves? Starting with that in mind can speed up the process, but it’s not always possible, because sometimes you can reach a more powerful conclusion if your destination is unplanned. VL: Excellent advice, to focus on the emotional impact. KV: Yes, I wrote Skeleton Tree sitting in a dog bed, while Hera sat on the couch behind me looking over my shoulder. I now have an office chair, ha!, but my dog is still a big help. I even mention her in the acknowledgements of my book. She’s sweet, silly and scared of everything, but most of all she’s the perfect co-writer. VL: Who were your childhood heroes/role models? KV: I don’t know about role models, but I was obsessed with Billy the Kid, Al Capone and Charlie Chaplin. I also loved Agatha Christie’s famous detective, Hercule Poirot, and his sidekick, Hastings. The Addams Family was another huge favorite, as were Shel Silverstein and Roald Dahl. VL: What a wonderfully eclectic collection! I’m also a huge Agatha Christie fan! I read so many of her books when I was a kid. What has been your favorite book to read/book you’ve been most excited about over the past year? KV: I love The Poet’s Dog by Patricia MacLachlan. It’s a sad, happy, heartfelt story about a poet who lives in a cabin in the woods with his dog. It’s practically my life story. And thank you so much for joining us, today, Kim! It’s been such a pleasure talking with you and getting to know you better! The official book trailer for Skeleton Tree! Local talents Jerry Bennett and Zac Davis created this trailer for Kim. They both worked on the award-winning short film, Even in Death. Jerry is an amazing comic book artist and illustrator who’s done work for companies like Marvel, Lucasfilm, and Topps. Zac Davis is a filmmaker and program director for Invisible Layers productions, a pre-employment program for young adults on the autism spectrum with an interest in film, video production, or animation. Don’t forget to pre-order Kim’s book SKELETON TREE! It releases on September 26th! Learn more about Kim Ventrella here. Follow Kim on Twitter here. Follow Kim on Facebook here. Follow Kim on Instagram here. Thanks for doing this interview, Valerie!!! It was super fun!!! I loved hearing your motivation for this book, Kim. Thanks for sharing it with us!